What Ken Be Done? 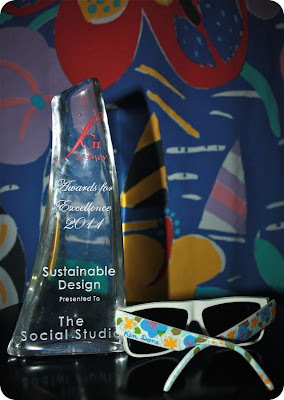 : Day 264/365: Well *Done* The Social Studio! Day 264/365: Well *Done* The Social Studio! 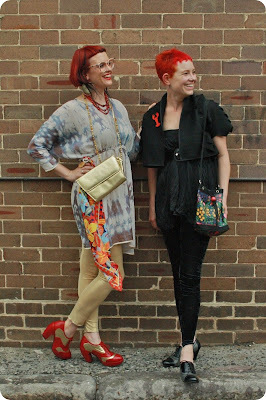 I left you last night as my friend Bec and I headed off to represent The Social Studio at the FGI Awards for Excellence. In our TSS finery, we certainly stood out from the cocktail dress crowd in a *good*way! 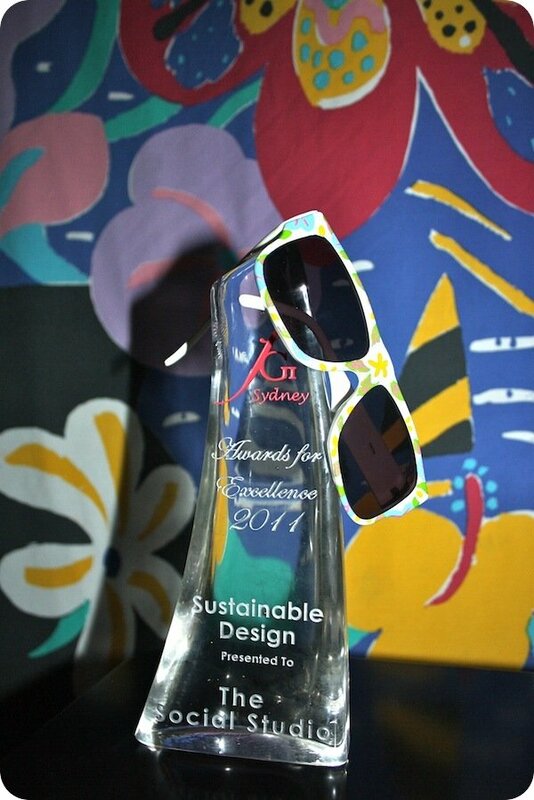 And the *good* news is TSS won the 'Sustainable Design Award'. Hooray!! Many people last night were so excited to celebrate how wonderful TSS is, and so the *good* word goes out wider and wider. Brilliant! Well done TSS. And well done Jackie and Bec on looking so fantastic! TSS was lucky to have you as their representatives. Maybe you could model for them permanently. 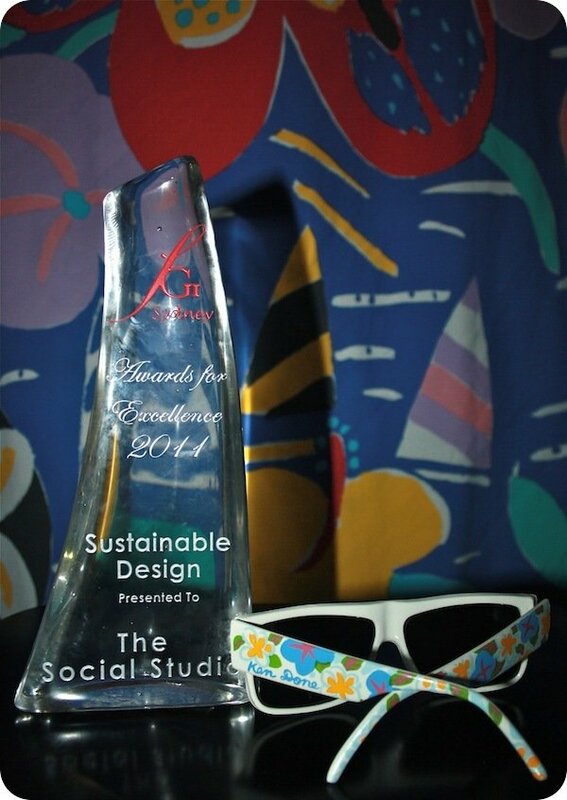 And CONGRATULATIONS to TSS! A well earned win. oh you two looked FANTASTIC. Well done to the team at TSS for such a great effort. Boy they are the talk of the town now, a year ago they were 'who?' 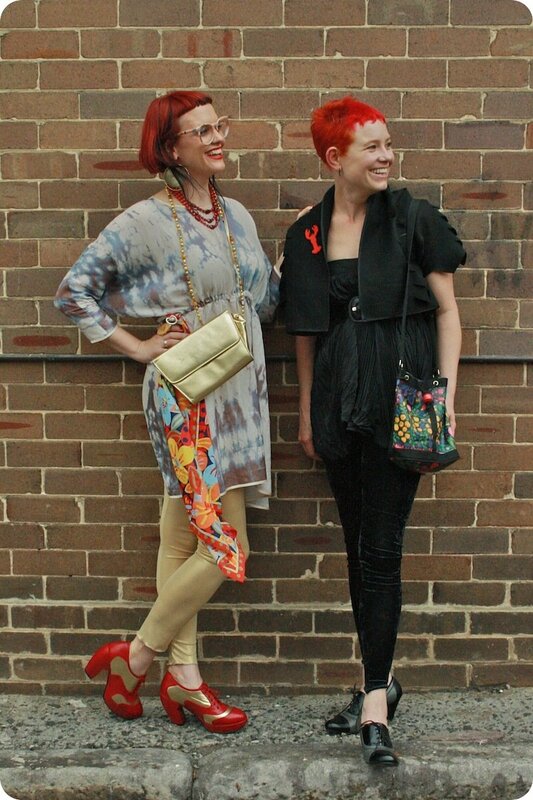 .. Melburnians sure have embraced their fashion. Great Stuff. I have pledged to wear Ken Done inspired 1980s fashion every day for a year to raise money to support young refugees in Australia. Join me and help to make a difference! Homage to the inspirations of What Ken Be Done? What Ken Be Done? is not a project by Ken Done or any of his affiliated companies or enterprises. All Ken Done artwork and products are copyright to Ken Done. What Ken Be Done? is a fan-based social initiative. However, Ken Done himself does think this online social project is bloody good!